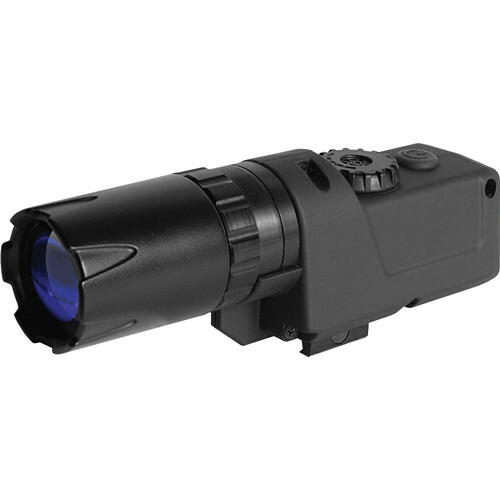 The L-808S features a 250mW infrared laser that is well-suited for close to mid-range viewing with NVDs. An adjustable beam diameter makes the L-808S ready for mid-range spot lighting and target designation, as well as close-range field of view illumination. For close-range viewing or preserving battery life, a brightness adjustment dial near the activation button allows the operator to reduce the IR output as low as 125mW. This IR illuminator weighs less than 8 oz, and it comes with a zippered carrying case and tripod mounting adapter.